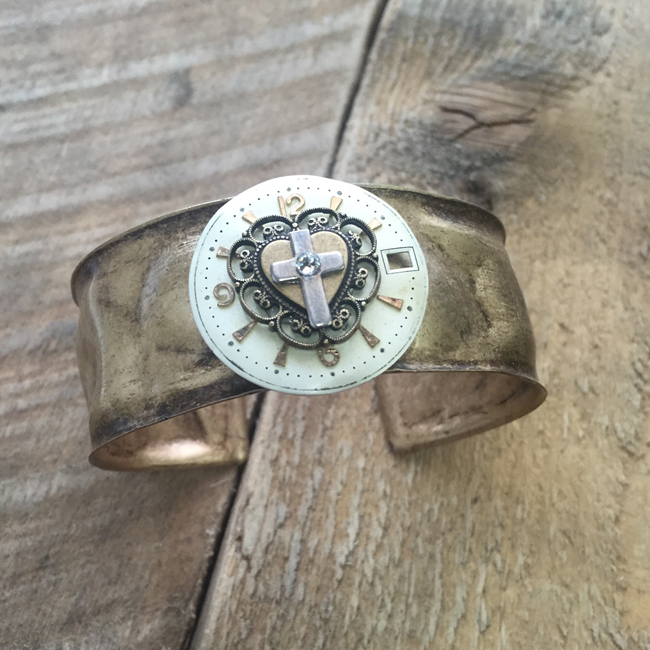 This Time for Prayer Cuff Bracelet is part of our ever growing “Time” series. Your choice of antique brass (as shown) or antique silver. There is a delicate cross and heart mounted on an antique clock face. Fits most wrists, as the cuff is adjustable.